Christmas is just around the corner! And you may find yourself in a similar spot each year; what to get for the friend or family member that has everything? We recognize this struggle and have a few ideas for you. Below we have our holiday gift guide! 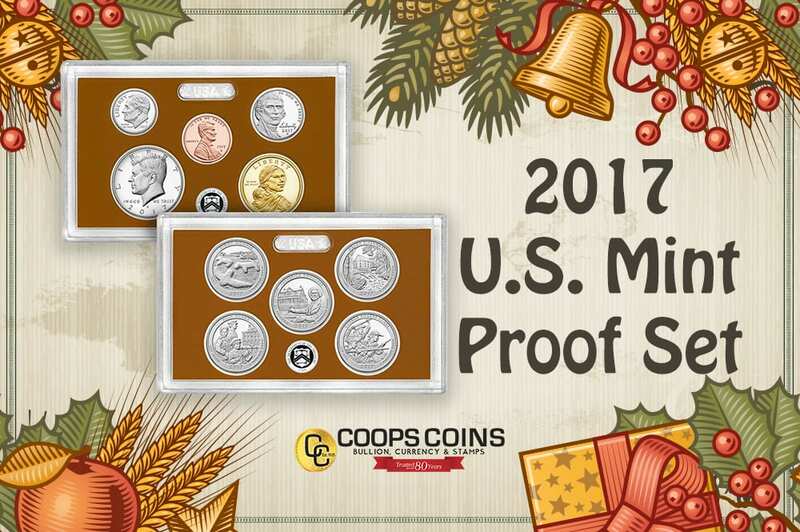 This 2017 proof set is a wonderful christmas gift. Each of these beautiful coins can be enjoyed for years to come. With this set you will get 10 proof coins dated 2017 encased in two clear plastic lenses in a beautifully designed package. Included in this set is the eighth annual release of five quarters in the America the Beautiful Quarters® Program which commemorate our spectacular national parks and our rich history. With sharp relief and mirror–like backgrounds, U.S. Mint proof coins have frosted, sculpted foregrounds giving them a special cameo effect. You won’t want to miss out on this set. Five quarters from the America the Beautiful Quarters® Program featuring Effigy Mounds National Monument in Iowa, Frederick Douglass National Historic Site in Washington, DC, Ozark National Scenic Riverways in Missouri, Ellis Island in New Jersey and George Rogers Clark National Historical Park in Indiana. One Native American $1 Coin with a reverse design featuring a profiled likeness of Sequoyah writing “Sequoyah from Cherokee Nation” in syllabary along the border of the design. Inscriptions are “UNITED STATES of AMERICA,” “$1” and “Sequoyah” written in English in the field of the design. 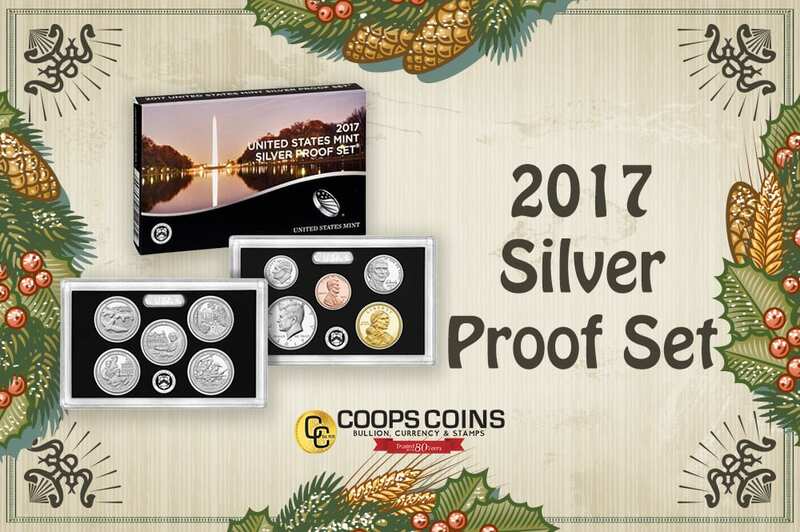 This beautiful 2017 Silver Proof Set is a must–have for any coin collection. Here are just a couple ideas but we have limitless gift options for you in our store. Come see us at Coops Coins to get the perfect Christmas Gift.